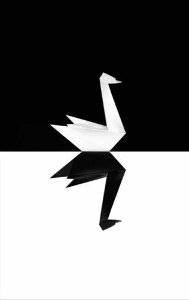 The Black Swan theory refers to a large-impact, tough-to-predict, and rare event beyond the realm of normal expectations. The term Black Swan comes from the assumption that 'All swans are white'. In that context, a black swan was a metaphor for something that could not exist or not possible. The "Black Swan" theory refers to events of large consequence and their dominant role in history. Black Swan events are a special category of what is called outliers. What has got Black Swan theory got to do with Indian Markets now? The Indian Stock Markets hit the upper circuit of 10/15/20% which hasn't happened before. This is a Black Swan Event, a rare event - no one expected. Particularly this is a Black Swan for the bears since markets have hit lower circuit many times before, but not the upper circuit. If come to know any such events post it in the comments section. Interesting never heard of this phrase before. Thanks for the knowledge I'll be back. It was indeed a spectacular rise in indian markets. Never heard of this Black Swan Theory but it's an interesting topic since Indian stock markets did a very good job on it. The event truly did a very good job on this one. They're awesome! You're spot on there.Nice humour.